Garrett College's affordable credit programs equip you with the knowledge and ability to successfully begin or advance a career or to continue pursuing your educational goals. 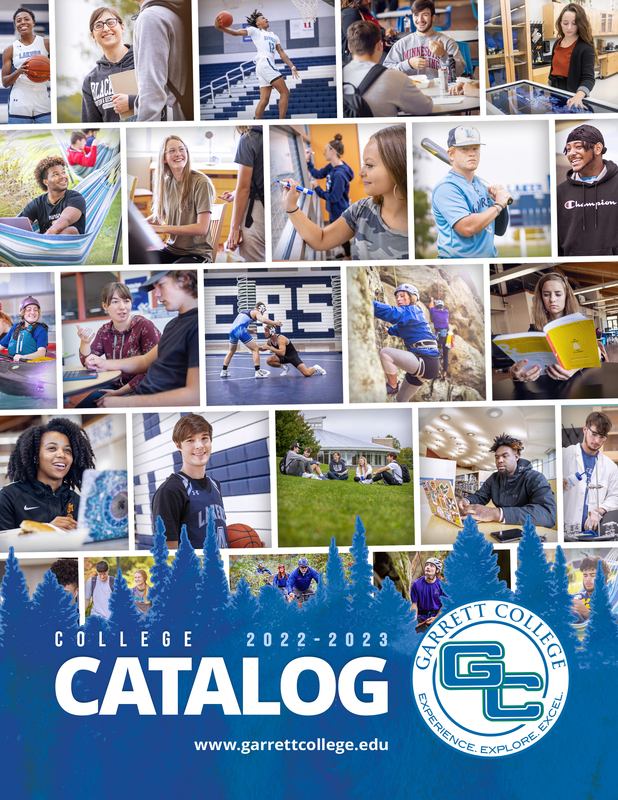 Garrett College offers a wide variety of accredited programs that match with the educational and career goals of our diverse student population. Due to the variety of program types and levels, it is often helpful for the student or parent to review some definitions before they peruse the catalog of programs, majors, concentrations and courses. Associate of Arts (AA) Degree – Provides a curricular focus in the liberal arts, humanities and fine arts and is primarily intended for transfer to a four-year institution. Associate of Arts in Teaching (AAT) Degree – Provides the equivalent of the first two years towards a bachelor’s degree in teacher education and is intended to facilitate transfer into a teaching program at a Maryland four-year college or university. Associate of Science (AS) Degree – Provides a curricular focus in the math and sciences realm (physics, chemistry, engineering, computers, etc.) and is primarily intended for transfer to a four-year institution. Associate of Science in Engineering (ASE) Degree – Designed for transfer into parallel four-year engineering programs at certain Maryland institutions, and generally acceptable for transfer into engineering programs at other institutions. Associate of Applied Science (AAS) Degree – Provides a curricular focus on a specific occupational area and is primarily intended for immediate entry into the workforce. The above degrees can be earned with a variety of programs and concentrations. For example, the Associate of Arts (AA) degree can be earned for the following programs: Business Administration, Business Administration (FSU Transfer), General Studies, and General Studies (FSU Transfer). The AA degree can also be earned with a variety of concentrations, including: General Studies, General Studies (FSU Transfer), Liberal Arts, Mathematics/Sciences, Psychology (FSU Transfer) and Social & Behavioral Sciences. Similar variety exists for our other degree programs. Garrett College also offers a number of non-degree transfer programs in the allied health field and certificates in areas such as Cybersecurity, Paramedic and electro-Mechanical Technology. Due to the variety and complexity of our offerings, we recommend students and parents review the program details below and in the "Industry and Interest" chart below and/or contact our admissions area for further guidance. We stand ready to answer questions and suggest learning opportunities based on the interests and career goals of the individual student. Industry credentials refer to certification issued by an occupational or industry group to demonstrate competency or completion of training for a particular job category. Many jobs require some form of industry certification as a prerequisite to hiring. Credentialing provides employers with the candidate’s technical qualifications. Continuing Education & Workforce Development programs in Welding, Medical Coding & Billing, and Building/Property Maintenance Technician all offer credentials. Garrett College offers certificate programs to provide job entry skills and knowledge that lead to gainful employment. Certificate programs are designed to be completed in a shorter time than a traditional two-year college degree. Many of Garrett’s certificates can be completed with 24 college-level credits. Workforce Development training programs include CDL/Truck Driving, Machining, Paramedic, Veterinary Assistant, and a variety of Allied Health career programs designed to enhance your employability in today’s job market with an industry recognized certificate or credential. 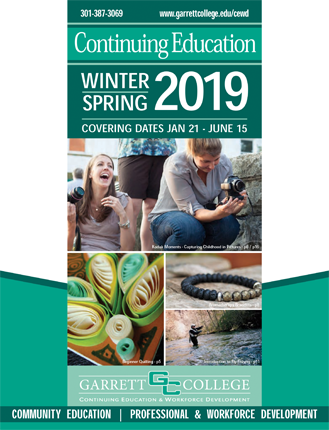 Offered through Continuing Education & Workforce Development, the majority of courses can be completed by attending part-time classes in the evenings and on weekends. Garrett College offers five distinct associate degrees. Within these degrees there are a variety of programs and concentrations available to meet student learning needs and future goals. Transfer options include concentrations within degree programs at Garrett College, such as mathematics/science, social and behavioral sciences, elementary education, business management & entrepreneurship, etc. Non-Degree Transfer Programs such as pre-nursing, pre-physical therapist assistant, pre-radiologic technology are also included in this category as these programs prepare students for application to programs at other institutions.